liTeMood® is a true plug-and-play programmable LED Mood Lighting system, designed specifically to retrofit commercial aircraft cabins. 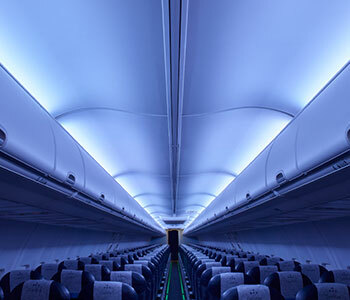 Delivering exceptional performance since 2011, liTeMood® LED cabin lighting is the most airline-preferred retrofit LED ambient lighting solution available, delivering enhanced cabin transformations to over 20 operators world-wide. 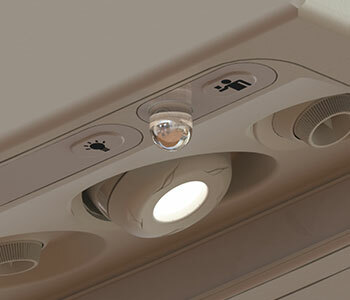 Designed to significantly enhance the cabin ambience of non-LED-equipped aircraft cabins by bringing them up to the same quality standard as brand-new aircraft delivered with the latest LED lighting solutions. 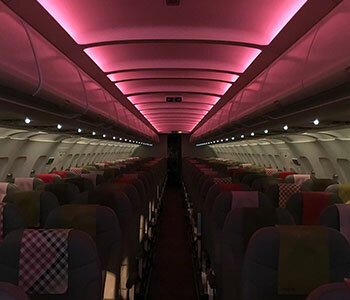 liTeMood® LED Mood Lighting and our new Reading Lights are a quick and easy-to-install, cost-effective upgrade for any airline seeking to improve passenger experience and increase yields across its fleet. A low cost retrofit solution is available today, please contact us for more information.